Encontrei 40 Hotéis em Tossicia. Escolha a data de entrada e saída para ver os hotéis disponíveis em Tossicia. Sem informar as datas, os preços com (*) são preços médios de cada hotel e nos arredores até uma distância de 10 km. Featuring free WiFi, Agriturismo I Murales offers pet-friendly accommodation in Azzinano, famous for its murals. Free private parking is available on site. Teramo is 19 km from the property. The rooms include a flat-screen TV, a fully equipped kitchenette and a seating area where you can relax. You will find a coffee machine in the room. Prati di Tivo ski area and Campli are both 30 km from Agriturismo I Murales, while Civitella Del Tronto is a 50-minute drive away. Abruzzo Airport is 90 km from the property. O La Locanda del Parco disponibiliza quartos rústicos e elegantes numa área tranquila, e proporciona vistas para o Parque Natural de Gran Sasso. O Restaurante Il Giglio Rosso serve especialidades de Téramo, bem como uma selecção de vinhos locais. Todos os quartos dispõem de ar condicionado, de acesso Wi-Fi gratuito e de uma casa de banho privada com um chuveiro e um secador de cabelo. Alguns quartos possuem uma varanda privada. O La Locanda coloca à sua disposição um parque de estacionamento gratuito. Para além disso, está situado no centro de Ornano Grande, e fica a 2 minutos de carro da saída para San Gabriele-Colledara da Auto-estrada A24. Gran Sasso House offers pet-friendly accommodation in Colledara, 45 km from Pescara and 49 km from San Benedetto del Tronto. The air-conditioned unit is 31 km from LʼAquila, and guests benefit from free WiFi and private parking available on site. The kitchen comes with a fridge and there is a private bathroom. A TV is offered. Other facilities at Gran Sasso House include a terrace. Ascoli Piceno is 36 km from Gran Sasso House, while Chieti is 46 km from the property. You can engage in various activities, such as skiing, horse riding and cycling. The nearest airport is Abruzzo Airport, 44 km from the property. Agriturismo La Casetta is situated in Tossicia, 45 km from Pescara and 46 km from San Benedetto del Tronto. Guests can enjoy the on-site restaurant. Free private parking is available on site. Each room is equipped with a flat-screen TV. The rooms come with a private bathroom. LʼAquila is 34 km from Agriturismo La Casetta, while Ascoli Piceno is 33 km from the property. The nearest airport is Abruzzo Airport, 44 km from the property. Hotel Vomano offers free parking, free Wi-Fi and a local restaurant, all in the centre of Montorio al Vomano. 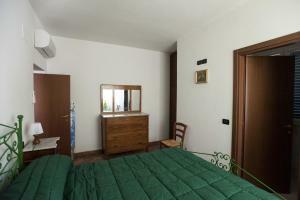 The property is a 15-minute drive from Teramo. Rooms are air conditioned and come with a balcony and an LCD TV with pay-per-view channels. Some rooms overlook the Gran Sasso mountain range, others overlook the garden. A sweet Italian-style breakfast of hot drinks and croissants is provided daily. The Vomano is 11 km from the A24 motorway and a 20-minute drive from the San Gabriele Sanctuary. You can reach L’Aquila by car in around 30 minutes. Offering an a la carte restaurant and rooms with a terrace and mountain views, Hotel Pina Ristorante is located in Isola del Gran Sasso D’Italia, a 30-minute drive from Campo Imperatore ski area. Featuring free Wi-Fi and air conditioning rooms have a flat-screen TV. The private bathroom is equipped with shower, a bidet and hairdryer. Breakfast includes hot beverages and sweet pastries, while savoury snacks are upon request. The a la carte restaurant serves typical Abruzzo recipes, together with a wide range of local and Italian wines. Public transport is 50 metres from Hotel Pina Ristorante, linking to Teramo and Castelli. Abruzzo Airport in Pescara is 80 km from the property. With a hot tub, sauna and sun terrace, B&B Scacciapensieri offers elegant-style rooms with wood-beamed ceilings and parquet floors. Free Wi-Fi is available throughout, and the property is located a 15-minute drive from Colledara. Rooms at Scacciapensieri B&B feature a terrace and a fan. The private bathroom includes slippers and free organic toiletries. An Italian breakfast is served daily and includes sweet and savoury organic products. Free private parking is available on site. Teramo is a 30-minute drive, while Pescara is 70 km away. Al Gran Sasso is located in Forca Di Valle, 7 km from the centre of Isola del Gran Sasso d’Italia. It offers self-catering accommodation featuring panoramic views of the surroundings. This apartment at Al Gran Sasso will provide you with a flat-screen flat-screen TV, an equipped kitchenette and a seating area with a fireplace. The private bathroom includes a hairdryer and free toiletries. Activities in the surrounding area include hiking and skiing. Free parking is on site. Giulianova seaside town is a 40-minute drive away. O Il Gigante Che Dorme está situado na zona rural de Abruzzo e dispõe de um jardim com comodidades para churrascos e de modernas acomodações. A propriedade fica a 30 minutos de carro de Teramo. Os quartos estão equipados com acesso Wi-Fi gratuito, uma televisão de ecrã plano e um frigorífico. A casa de banho privada tem um duche e um secador de cabelo. Todos os dias é servido um buffet de pequeno-almoço continental. O Il Gigante Che Dorme está a 25 km das pistas de esqui de Campo Imperatore e Campo Felice e a 30 km das Praias de Giulianova e de Roseto. Featuring free WiFi and a terrace, Lo Scoiattolo Srl offers pet-friendly accommodation in Montorio al Vomano, 48 km from San Benedetto del Tronto. Guests can enjoy the on-site restaurant. Free private parking is available on site. All rooms include a TV. Each room comes with a private bathroom fitted with a bath or shower. For your comfort, you will find bathrobes and free toiletries. LʼAquila is 30 km from Lo Scoiattolo Srl, while Ascoli Piceno is 32 km away. Abruzzo Airport is 50 km from the property.